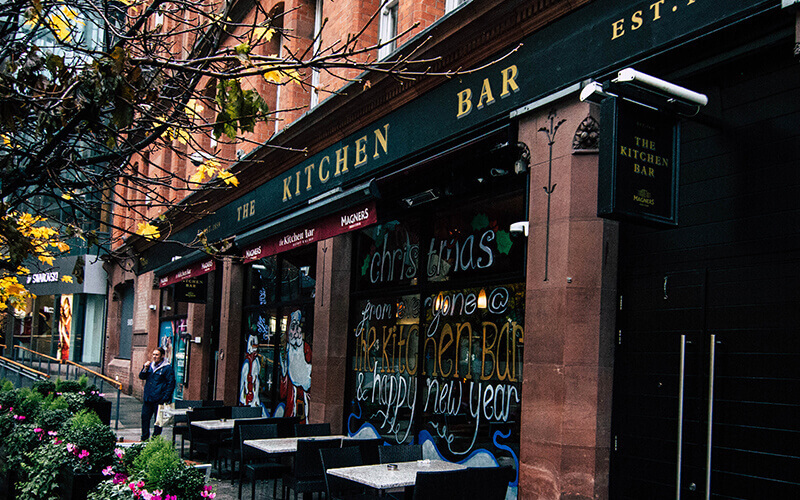 The Kitchen Bar is a Belfast institution dating back to 1859 it is also unique to Victoria Square as it is the only original pub where visitors experience a full range of drinks, home-cooked traditional food, entertainment and great craic. Visit The Kitchen Bar and experience our renowned friendly service from welcoming staff and sample foods from our competitively priced menus such as our infamous signature dish “Paddy Pizza”, an Italian classic with an Irish twist. All live sport shown on the largest screen in the city.